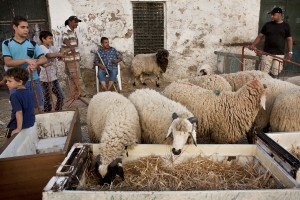 The “Aid el Kebir” (literally feast of sacrifice) is the main Muslim feast which is celebrated seventy days after Ramadan to remember the miracle of Allah, when he replaced Ismael, the son Abraham was going to offer to him in sacrifice, with a ram. 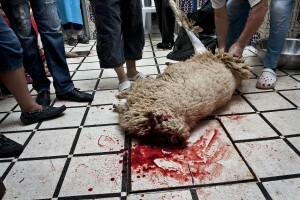 To celebrate this submission to their God, the feast states that Muslims families who have can afford, sacrifice a sheep and they give a piece of it to the poor. 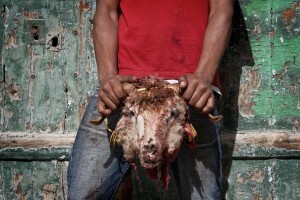 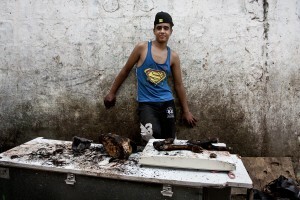 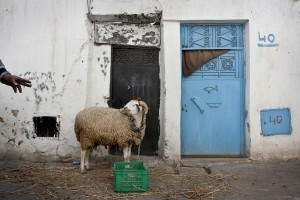 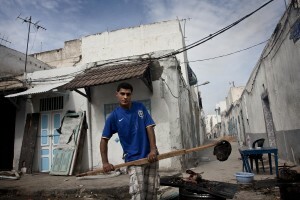 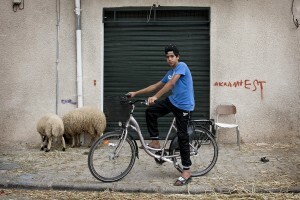 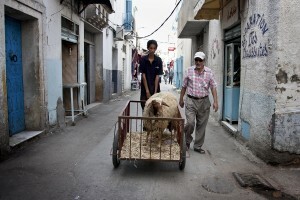 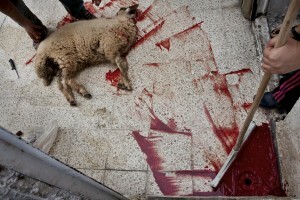 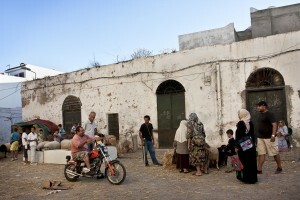 In the day of “Aid el Kebir”, after the morning prayer in mosques crowded with faithful, they begin to sacrifice rams. 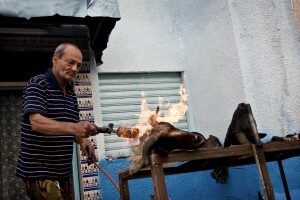 The householder is responsible for killing the lamb or cow, while the youngest members in the family give their support to the success of the ritual. 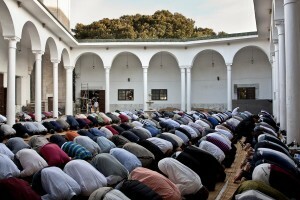 The rite is not one of the five pillars of Islam and therefore it is not compulsory, but it is a strongly recommended sunna.